Want to turn your paper lanterns into things of supreme beauty? Add our LED lights to them! This unit will illuminate our paper lanterns from 8" to 36" in diameter. 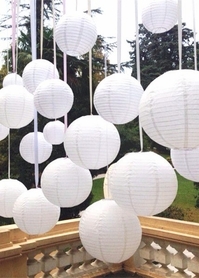 Want to illuminate your hanging paper lanterns, candle holders, centerpieces, floral designs and more? 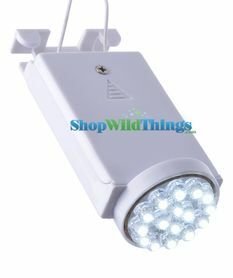 Want super bright, super efficient, white light? Want to spend just a little and get a whole lot of bang for your buck? 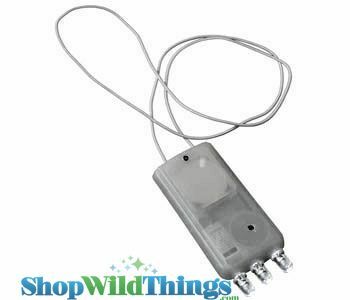 Our new LED Hanging Light is battery powered and features 3 LED bulbs in bright white. 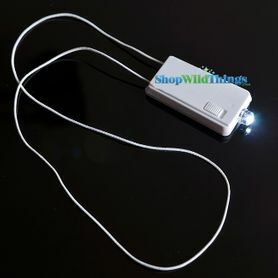 Each light comes with a replaceable CR2032 battery. Each set of batteries will last for at least 12 hours. 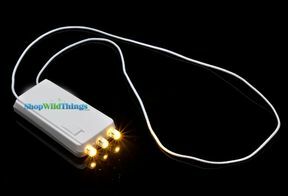 Features handy On/Off switch, 10" flexible cord for hanging. You'll love our huge selection of colorful Paper Lanterns.